Common architectural motifs can be seen across many of Brasília’s civic buildings. This use of repeating patterns is similar to the way we now build for the web. By piecing together reusable components in different combinations, we can create products that have a consistent and predictable feel. How might we approach building components in the context of a design system? Much like a design system, we can consider a front-end component as being made up of separate layers, or concerns. I’ve found that thinking about my design as existing in broad experience tiers — in layers — is one of the best ways of designing for the modern web. By taking each concern on its on, we can think about which guidelines and vocabularies in our design system are applicable. These constraints keep me focused on the content, its structure and order. I can also look to editorial style guides and tone of voice guidance should they be appropriate. The next step is to think about meaning. For this, I’ll look to any shared vocabularies that may help me describe a component. Of these there is one that is extremely well defined and widely understood: HTML. I typically reference HTML element names in my class names as their usage in relation to a component is similar. Leban Hyde refers to this as the workhorse with no name, while Dave Rupert calls a similar approach the every module ever scaffold. Patterns like this can make our code more predictable and easier to understand. 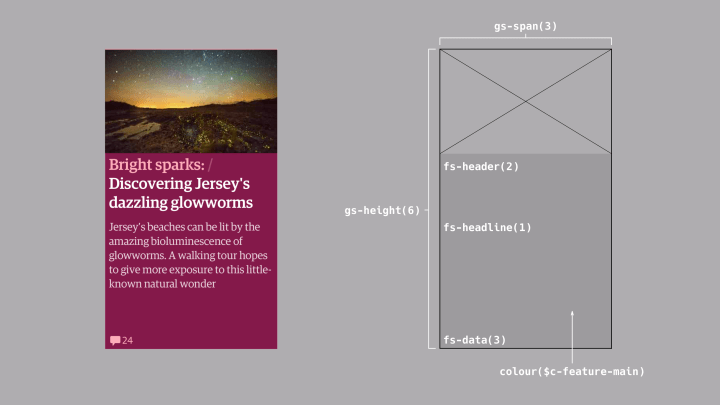 I’m using colours as an example, but the concept can apply to other values such as typography and spacing. This is similar to the system used at the Guardian. Guss is a set of Sass mixins and helpers that allow components to be described using a language familiar to everyone on the team, be they designers, developers, product managers or other stakeholders. An example of Guss being used to describe a featured story item. There’s a temptation to over-use tools like Sass and other pre-processors, and I wasn’t so keen on them until I realised their true superpower: they allow us embed shared vocabularies in code. There are a number of other aspects not touched on here which will likely transcend all three layers. For example, considering the accessibility of a component will involve thinking about the choice of language used, styling text so that it is legible and has sufficient colour contrast, and ensuring it can be successfully interacted regardless of input device. That’s how I tend to approach building my components, and your millage my vary. But have we spent too much time discussing the complexion of components, while ignoring broader considerations? Let’s return to Brasília. 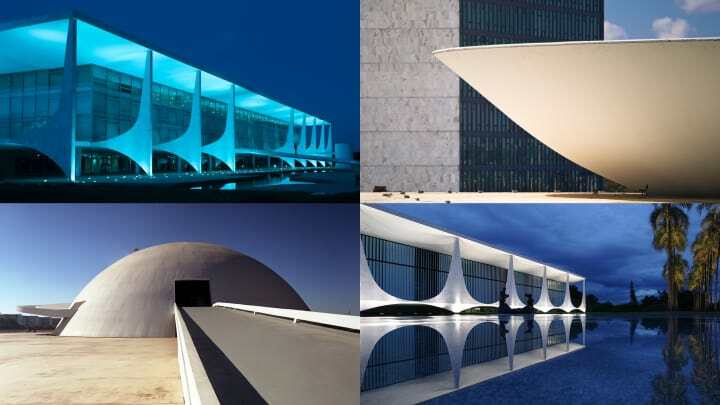 While Niemeyer’s buildings are gorgeous, they suffer from an emphasis on form over function. For example, the National Congress has a huge ramp at the front that would appear to be its entrance. In fact it’s purely decorative; a point reinforced by a barrier that sits half way up to prevent the public clambering onto the roof, which itself occupied by armed guards! 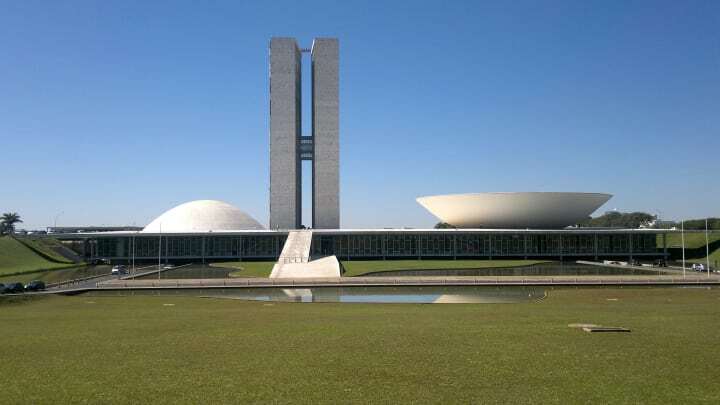 The National Congress building in Brasilìa. Photograph: Juniorseropedica. Costa’s layout suffers similarly. Along the city’s main axis exist large areas of green space. I’m sure these satisfied an objective of providing open areas for people to relax in, yet their simplistic placement ignores the fact that to reach them you need to cross six lanes of traffic. 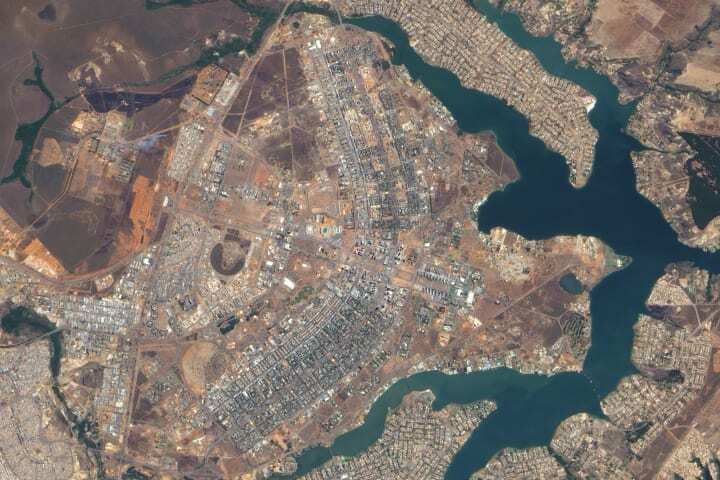 Brasília was the ultimate modernistic city built on all the ideas of the modernistic manifests. It looks fantastic from the airplane, but if you are down at eye level on your feet going from one place to another, Brasília is a disaster. Every distance is too wide. Things are not connected. Always design a thing by considering it in its next larger context — a chair in a room, a room in a house, a house in an environment, an environment in a city plan. In our discussion about components, we tend to talk a lot about chairs, yet neglect the rooms they sit in. Actually, we don’t talk about chairs, but we do talk a lot about Lego. This modular toy system has proven to be a useful analogy for describing object-orientated programming: separate blocks that can be pieced together in a number of combinations. However, look closely, and you’ll find shortcomings in this comparison when talking about front-end components. and has clear affordances, you can understand its properties by looking at it. difficult to reason with, especially if code is in separate files, with little or no documentation. 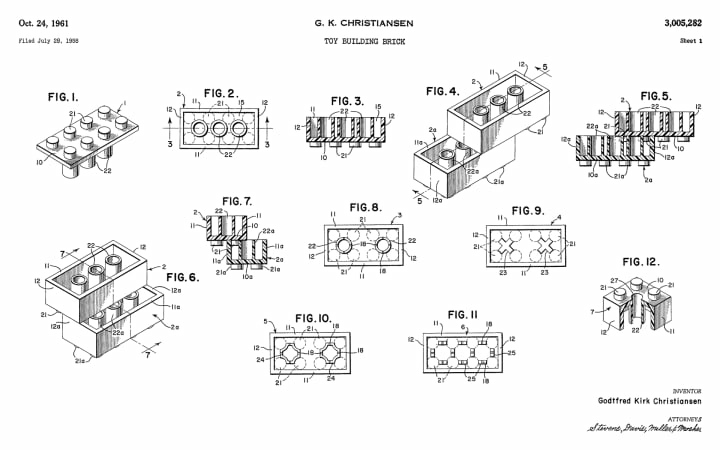 A section of the original Lego patent. Perhaps Lego is the right example, we’ve just been looking at the wrong aspect of it. The most important aspect of Lego is not so much the bricks themselves, but the system of tubes and stubs that holds them to together. New bricks have been added to the system over the years, yet a brick manufactured today will still connect with one of the first produced in 1958. This leads me to ask: what are the equivalent concepts within the realm of front-end development? What methodologies might we uncover if we were to focus more on the relationships between components, rather than the components themselves? Who knows, maybe the cascade could become a powerful ally, rather than a pernicious foe. I hope you have enjoyed this three-part series, borne from the talk I gave at Smashing Conference last year. The ideas I’ve outlined are of course subject to re-evaluation, so if you have any feedback, please do get it touch, either via e-mail or Twitter. Thanks for reading! In this second part of my three-part essay based on the talk I gave at Smashing Conference, I propose a model for thinking about design systems.